Lag issues might be related to the computer you use to play. You might consider running the Can You Run It program to see if your machine meets minimum specs. I haven't had any issues with lag since getting parenthood or the newest fitness pack. Have you tried clearing out the files in your documents? And have you made sure that the mods you use are for the current version of your game? I really hope you can figure out what the cause of the lag is. I did take out my mods, however I completely forgot that I can clear the cache! Thank you so much for that link. I am going to do that and start a new game. I will admit, I probably messed it up because I played with a mod without checking if it was up to date when I bought vampires... and then had to update the mod. 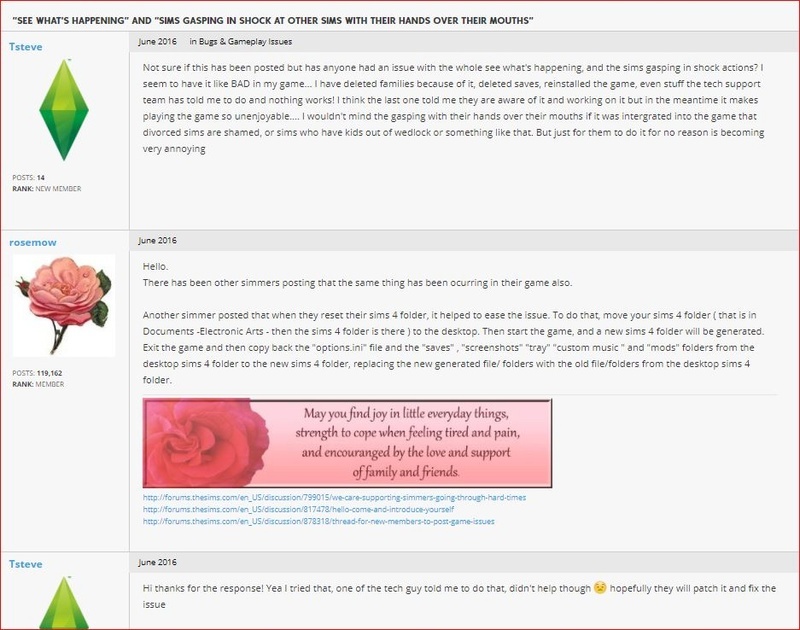 I am hoping that it hasn't messed with my game this entire time I am horrible about mods as time flies and I never pay attention to updates on the game vs. do I have the most recent mod version. I had a family and added 2 pets, but it was too much.. I really wanted to explore the vet field (too bad it can't be a "career" - well that I have found?). However I do really enjoy the vet "retail store". I like that random ppl bring in stray pets too lol I am unsure how the npc are doing this.. but I would really like to walk around myself and randomly bring stray pets to the vet to treat them.. I have to say.. i was surprised after purchasing that it literally only has dogs and cats.. They don't always work... they are "satisfied" with their job.. I give them speeches and they are like "ya! I am giving you 120%!" *goes to stand by the corner of the building* - HOW IS THAT 120%?! I apologize for not posting a reply sooner. Getting just a *TINY* bit distracted lately. Instead I decided to use a single Sim living in Brindleton Bay and gradually add adopted strays. Still have not tried the Vet career but have made it to the last stage of the Friend of the Animals Aspiration. I did discover you can use the Crafting machines on your home lot to gain Vet skills. I hadn't realized that you could put the items on your home lot, I suppose that I just assumed you had to buy a retail store in order to get access to certain items. 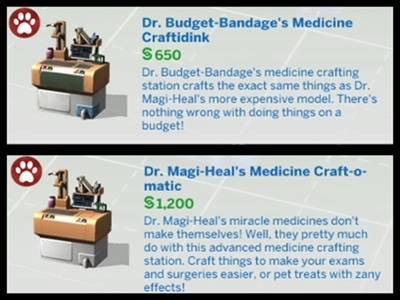 I noticed that you can't tell the needs of your animals really.. and I noticed that my sims will stop what they are doing to watch animals because of "What is happening" script.. I wonder what that is about? I haven't seen my animals do anything, at first I thought they were dying because it was an "old" pet. However, that wasn't the case and I noticed now that any pet at any age can create this reaction. I guess I am going to have to commit some serious gaming to solve this mystery! When you unravel that mystery please let us know. 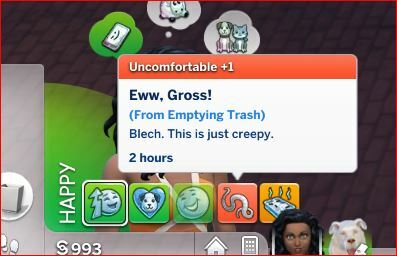 A sim after my own heart.. I feel the same way Allie!